This entry was posted in Fraud, Office of the Inspector General and tagged fighting fraud, fraud, fraud reports, Inspector General, Office of the Inspector General, OIG, phone calls, phone fraud, phone scam, Scam, social security, Social Security benefits, social security fraud, social security office, SSA by Andrew Cannarsa, OIG Communications Director. Bookmark the permalink. The Congress of the United States of America is trying to fraudulently steal your Social Security money by redirecting it through privatization into the pockets of their fellow conspirators. Same thing with Medicare. You should be aware of this fraud and call your Congressman and Senator and let them know that you don’t want them to carry out this fraudulent attack on your social Security and Medicare. Who do I contact about federal government grants scams?? I will get all back 1120 ?? DO NOT SEND ANOTHER PENNY. YOU ARE NOT GOING TO GET A PENNY BACK FROM THEM !!!! Not only will you not get back you’re money, but these people will sell your phone number and contact information to other thieves who will help drain your bank accounts of all the money you have. Don’t be so gullible ! Call the police, and it all stops! Email is kind of new for a people. The United States is a good place to live. Comments are a matter of privacy. Can someone help us pay re taxes on our home. We have a reverse mortgage and are under obligations to pay 5 grand in real estate taxes. We are seniors without resources to pay the. Taxes for 2017. Can ss income pay and take the.money back from future income. I need help I have been dealing with an issue for months I signed up for a direct deposit ever since there saying I been payed double when that’s not the case I live month to month I have been on the phone 35 times thinking I have this solved I received 43 dollars this month? ? What is the deal ? I’ have several health problems among ptsd I signed up thinking this would be more convenient and for 5 months it’s a endless hell social security security payment department please call me my name is Billy Rose phone is 903 556 1966 my email is ahr82672@Gmail.Com can you please help me fix this issue? ? Hello Billy. Unfortunately, your question is a bit more complex and not what we can handle in this forum. For your security, we do not have access to information about your account. Please continue working with your local Social Security office or call our toll free number at 1-800-772-1213 (TTY 1-800-325-0778) and speak to one of our representatives. Representatives are available Monday through Friday, between 7 a.m. and 7 p.m. Generally, you’ll have a shorter wait time if you call later in the week. Thanks. I received a call from Inspector general office at 1:11PM today the caller ID # was 866-723-2349 no name listed.. He gave me my date of birth and my social security number. Said I must follow his instructions as my social security has been suspended. If I want it back ,he repeated I must follow his instrustions. I told him I don’t believe him and said he was the stuff that comes from the back end of a cow. I hung up. I called 1-800-269-0271. Left a call back message. I’m not sure when I will get the call back. What all do I need to do? Hi, Carolyn. The number you provided (1-800-269-0271) is the correct telephone number for the Office of Inspector General (OIG). The hours of operation are: Monday thru Friday 10:00 a.m. to 4:00 p.m. Eastern Standard Time (EST). We always recommend to avoid providing personal information unless you are certain of a person’s authority to have the information. SSA employees occasionally contact citizens by telephone for customer-service purposes. An SSA employees may call you in limited situations, such as if you recently filed a claim or have other Social Security business that are pending. In only a few limited special situations, usually already known to the citizen, an SSA employee may request the citizen to confirm personal information over the phone. If a person has questions about any communication—email, letter, text or phone call—that claims to be from SSA or the OIG, please contact your local Social Security office, or call our toll-free number at 1-800-772-1213, 7 a.m. to 7 p.m., Monday through Friday, to verify its legitimacy (TTY number at 1-800-325-0778). Thanks. hahahah OSG! hahaha they dont work. they just get laid tax dollars to lie. i have asked them for help to correcr governennt corruption they ALWAYS answer not their job. thats because they are behind the corruorion. There are twelve million, TWELVE MILLION “illegal imigrants” who have invaded and occupy America with Government approval . what is a nunber of invading forces before its called an invasion? and what is it that terrorists do? challange prevailing laws to convert others to their beliefs. HOW EVERYONE SCARE BUT SOCIAL SECURITY ADMINISTRATION IS NOT A BANK.THAT MY THINKING..! SSA YOU CONCERN BECAUSE WE THE PEOPLE WHO DESERVE TO SCARE ABOUT BAD GUY IN THIS COUNTRY…! Hello Tony! Unfortunately, but for security reasons, we do not have access to personal records in this blog. Please continue working with your local Social Security office. If you are unable to visit the local office, you can call our toll free number at 1-800-772-1213. Representatives are available Monday through Friday, between 7 a.m. and 7 p.m. Generally, you will have a shorter wait time if you call later during the day, thanks. SOMEONE IS STOPPING ME ACCESS TO MY SOCIAL SECURITY ACCOUNT, NEED OIG HELP. my wife received a call from a man claiming to be an attorney with social security who said that he was Larry Goldberg with regional office in Philadelphia. He wanted to talk to both my wife and me. He was confirming we were still married and that there were no other wives for me. This was because my wife had not worked enough quarters to fully qualify herself. He said some of this had to be done by hand and would take about a month to show up on my SSA account. Her 65th birthday is in June this year. Can you confirm for me this was a legitimate contact? It felt a little creepy but my wife thought it was fine. Looking forward to your reply to this email at this same email address. My mother is a victim of MAJOR FRAUD by Sociial Security Employees. She received 30 years backpay. Employees came to our home unannounced on numerous accounts without notice asking to speak to my elderly not well educated mother. She is bedriden and was recovering from Congestive Heart Failure. I applied for her benefits from my father who was a Navy Vet. She was eligible for 30 years backpay. Jacson, MS office called my neice from Houston TX and paid her to kidnap my mother and bring her to Houston. My mothr was immediately placed in Nursin Home where she is today. My family has not seen or head from my neice since the kidnapping The Nursing Home is Payee. I am her daughter and Power of Attorney. My mother was abducted in 2007. I found her in 2009. My neice made herself POA . There is no Revocation for MY POA in MS a part of Public Record. There are 3 differnt POA on file at the nursing home in Houston. My neice abandoned her shortly after the abduction. My mother is 92 and declining. I cant afford an attorney. She is declining. She has not seen her 6 living children, grandchildren – no family since 2007. The nursing home Springbranch Transitiona is operating on a POA that has no merit. No Revocation and my mother had Demtia when she was abducted. Iinformed Houston SSA. I had 2000 pages of evidence. They Refused to copy the EVIDENCE. The OIG in MS was involved. My mother Maxine Porter has not beem outside in 7 years. The stress caused me to have a meltdown. Please dont let my mother die in that nursing home. I dont have any. STRENGTH left to fight. She is so unkept. She has been kidnapped. Exploited, Neglectected, Abandoned, and Robbed of her Golden Years of LIFE! Please help us get her out of there and back to MS before she leaves this earth. It could be your Mother. For the Sake of Justice – SOMEONE STEP IN. INVESTIGATE. I have All The Documents to support these allegations. PLEASE HELP! SSA will be held accountable. I dedicate my life to JUSTICE FOR MY MOTHER. EMPLOYEES As THEIVES and family member partcipates. I am BROKEN! HURT and have to carry this pain to my grave. Please save my MOTHER. She is 92. God is keeping her alive. He promised me she would come back alive. She is declining. SAD Life Story! Dont let this go. How many other victims are there? Aware now of scams…willl look out for my telephone! I had my social security number breached 3times from the Social Security Adminstation Student Loans division; due to employees leaving their LAPTOP in the car in plain sight. And beware, if a lawyer asks for a password to FACEBOOK ACCOUNT, DON’T DO THAT. I HAD IDENTITY THEFT OVER A 10 YEAR PERIOD. LATER I LEARNED THAT HE LET OTHER PEOPLE LINK TO MYemail account as me. I received a phone call from 850-260-3326 telling me my Social Security has been placed on hold. First I do not receive Social Security so I knew it was some form of scam. I tried calling about 6 different numbers and could not get thru to anyone. I find this happens with most phone calls to Government offices. I am sending you this number with hopes that you can trace it and stop these people. I have blocked this number from my phone. Thank you for sharing this information, Dayle. The Federal Trade Commission (FTC), which receives and analyzes public complaints related to identity theft, recently reported to the Office of the Inspector General (OIG) an increase in reports of suspicious phone calls from people claiming to be SSA employees. Can I check my fathers social security number. He passed away 4 years ago and it was never reported to the Veterans office. I have received several calls claiming to be from the SSA. One gave a phone # 210.775.2516 stating that a SS# has been suspended. They called at least 10 times. Another call stated legal action was commencing and we were to call 707.271.6197. Quite scary, but I don’t believe either call. I thought you might like to have the phone #s.
I hope this may help to reduce this action. Thank you for sharing this information, Timothy. Social Security Administration (SSA) employees occasionally contact citizens by telephone for customer-service purposes. An SSA employee may call you in limited situations, such as if you recently filed a claim or have other Social Security business that are pending. In only a few limited special situations, usually already known to the citizen, an SSA employee may request the citizen to confirm personal information over the phone. The Federal Trade Commission (FTC), which receives and analyzes public complaints related to identity theft, recently reported to the Office of the Inspector General (OIG) an increase in reports of suspicious phone calls from people claiming to be SSA employees. 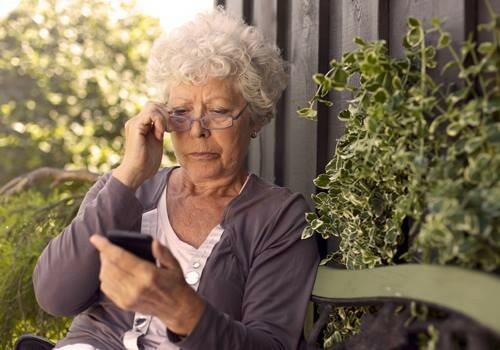 If a person receives a suspicious call from someone alleging to be from SSA, citizens may report that information to the OIG at 1-800-269-0271 or online via https://oig.ssa.gov/report. Hi, Lisa. Thanks for letting us know. We do not usually make random calls or request your personal information. If someone calls you saying that they are from Social Security, do not give them your personal information. Instead, contact your local Social Security office or call 1-800-772-1213 to see whether we really need any information from you. We hope this helps. I got the following email. Is this a scammer or a valid SSA employee? Benefits your spouse or children may be able to receive. When you call our office, please have this letter with you. It will help us to serve you more quickly. Hello Richard. This appears to be a legitimate contact from one of our representatives. Please reach out to Ms. Schur at your earliest convenience. Thanks! my mother, Gloria Sandon, age 86, just recieved a call saying her social security card has been fraudulently used in Texas and to call them at 1-712-202-0128 to avoid legal action. We did not return the call as we know it is a scam and want to alert you so you can let the other elderly social security people know about this scam. thank you for all you do. My parents were recently victimized by a SSA scam claiming they could receive an additional $95 a month. My father gave them SS#s and bank account numbers. I think I have finally gotten the situation resolved after three visits to their local SSA office. Can we assume an investigation has been initiated? or do I have to report it? Hi, Gail. We are sorry to hear about your parents’ situation. Generally, identity theft issues are handled by the Federal Trade Commission. You can find more information on their website: http://www.idtheft.gov or by calling 1-877-IDTHEFT (1-877-438-4338). To learn more about the steps individuals can take to prevent or resolve issues of identity theft, read our publication: “Identity Theft and Your Social Security Number”. We hope this helps. Can the cybercriminals be prosecuted, fined or imprisoned? We were contacted today by an individual who identified himself as a SSA member. He bore a distinct Indian accent and the PHONE ID# was1-214-717-5588 which after checking is from Grand PR Texas. He stated that he needed information at which time I advised him that the phone call was being recorded and that I would not give him any information. He advised us that we would be arrested and prosecuted at which time I advised him to “BRING IT ON” and I hung up. If you receive these calls, please report the information to the Office of the Inspector General at 1-800-269-0271 or online. Thank, again. Scam about legal enforcement action has been filed against your social security number, need to call 602-903-3942 before legal proceedings begin against you. Hi Renee: If the caller is claiming to be from Social Security—it is critical that you pay attention to the tone and content of the message from the caller. In some cases, the caller states that Social Security does not have all of your personal information, such as your Social Security number (SSN), on file. Other callers claim Social Security needs additional information so the agency can increase your benefit payment, or they threaten that Social Security will terminate your benefits if they do not confirm your information. This appears to be a widespread issue, as reports have come from people across the country. These calls are not from Social Security. I have received the scam call claiming to be SSA. I saved the number & called it back & the guy answered so I set the phone down for 10 minutes, this guy called me every name under the sun. the number is 217-481-7599. Hi Hope: If the caller is claiming to be from Social Security—it is critical that you pay attention to the tone and content of the message from the caller. In some cases, the caller states that Social Security does not have all of your personal information, such as your Social Security number (SSN), on file. Other callers claim Social Security needs additional information so the agency can increase your benefit payment, or they threaten that Social Security will terminate your benefits if they do not confirm your information. This appears to be a widespread issue, as reports have come from people across the country. These calls are not from Social Security. Hi Neal: Thanks for letting us know. If the caller is claiming to be from Social Security—it is critical that you pay attention to the tone and content of the message from the caller. In some cases, the caller states that Social Security does not have all of your personal information, such as your Social Security number (SSN), on file. Other callers claim Social Security needs additional information so the agency can increase your benefit payment, or they threaten that Social Security will terminate your benefits if they do not confirm your information. This appears to be a widespread issue, as reports have come from people across the country. These calls are not from Social Security. I have had several calls from someone claiming to be with the Social Security Administration stating that there is suspected fraud on my social security number and they say that my number has been “suspended”. No return number was given and they asked me to press a number on my phone. These all went to voice mail and I have not yet answered the phone directly. Is this a SCAM? Hi, William. Thank you for checking in with us. We do not usually make random calls. If anyone receives calls saying that they are from Social Security, do not give out any personal information. Suspicious calls should be reported to the Office of the Inspector General at 1-800-269-0271 or online. You can find additional information here. We hope this helps. Thanks for letting us know, Dawn. Keep in mind we do not usually make random calls. If anyone receives calls saying that they are from Social Security, do not give out any personal information. Suspicious calls should be reported to the Office of the Inspector General at 1-800-269-0271 or online. You can find additional information here. We hope this helps. We have received numerous calls lately, from SSA, threatening arrest and telling us our account has been suspended. Phone # 1-972-461-9835 and # 1-234-355-4178. I tried calling back to these #’s , receiving recordings of”non-working” numbers. I know now to just hang up! Thanks for letting us know, Frieda. We do not usually make random calls. If anyone receives calls saying that they are from Social Security, do not give out any personal information. Suspicious calls should be reported to the Office of the Inspector General at 1-800-269-0271 or online. You can find additional information here. We hope this helps. Hi, Ali. Thanks for checking in with us. We do not usually make random calls. If anyone receives calls saying that they are from Social Security, do not give out any personal information. Suspicious calls should be reported to the Office of the Inspector General at 1-800-269-0271 or online. You can find additional information here. We hope this helps. I received a call stating of which my social security number is being placed on a fraudulent account. Thank you for a prompt response. I was able to corroborate that I had a good reason to suspect impersonation. I called 1800 772 1213 but with the recordings I was not able to access a real person to tell me if there is something really wrong, or if it really was impersonation. Received a call from SSA Dallas, Tx to call as me SSA is involved in criminal activity. Called and was told it is connected to drug traffickers and money laundering. I was then transferred to a DEA agent that gave me information that all my money accounts would be seized immediately until they could tract down the culprits. Since I said they could not do that, he said the FBI will be raiding my home in the next day to look for evidence. ……more, but evitually suggests I go to my bank immediately and withdraw as much as I can for money to live on while this is sorted out. Take out as much as possible but do not tell anyone or the bank will have to freeze my account immediately. I have two phone numbers and an address WHere I was To Send Money to by overnight FEDEX . 469 378 8033 917 504. 8653. Please contact me at this email.